Tonight has been one of those nights when I started to write a post and then wandered to another topic altogether. I started to write a post about some overlooked or Mossy Posts, but then an old post caught my eye as I was looking for pictures of posts. 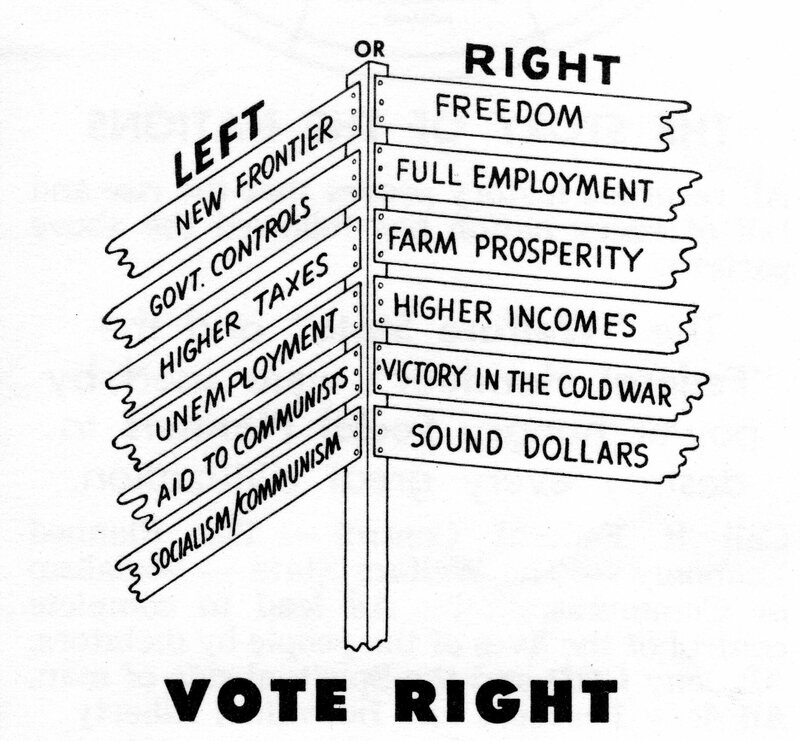 I had used this signpost in a post about Election Memories. The scans above are from a political brochure used in a campaign where my Father was running for office. 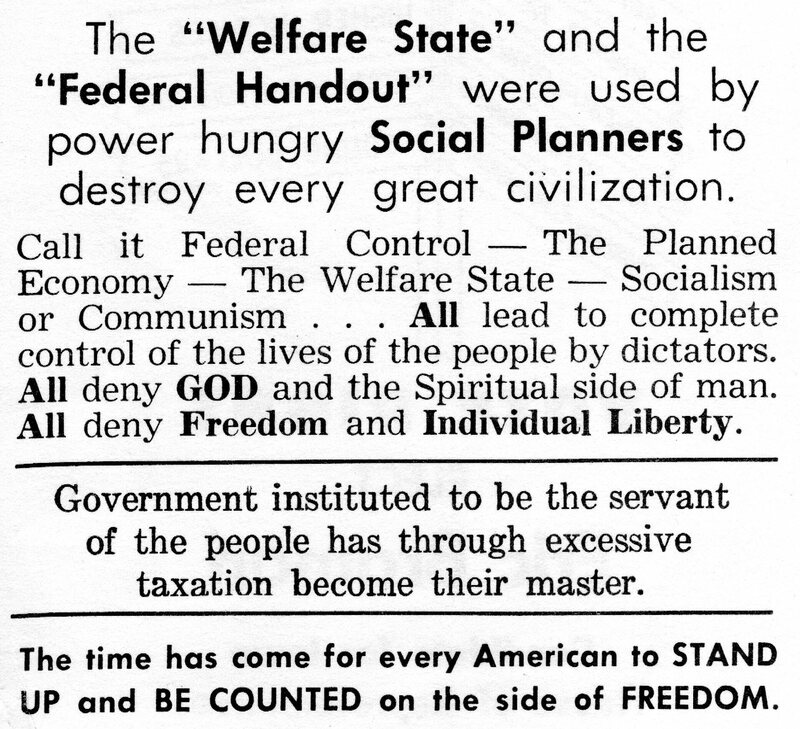 The “Welfare State” and the “Federal Handout” were used by power hungry Social Planners to destroy every great civilization. Call it Federal Control – The Planned Economy — The Welfare State —Socialism or Communism . . . All lead to complete control of the lives of the people by dictators. All deny GOD and the Spiritual side of man. All deny Freedom and Individual Liberty. Government instituted to be the servant of the people has through excessive taxation become their master. The time has come for every American to STAND UP and BE COUNTED on the side of FREEDOM. Can you tell by the signpost and the words of this brochure when it was used in a campaign? The key words are Cold War and Communism and you have probably guessed that the election was held in the 60’s. However, if you change just a few words these same images could be used today. We face some of the same issues. 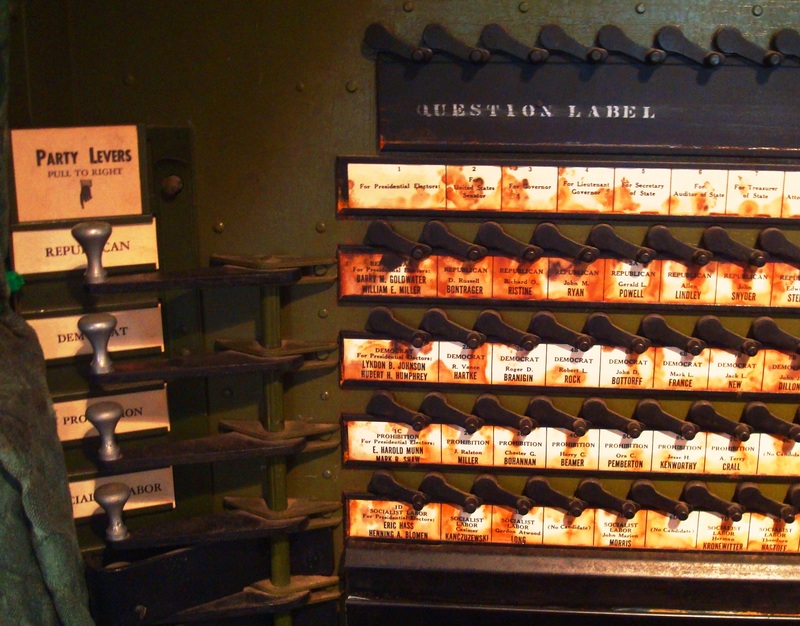 It will not be long before we head to the polls, but we probably won’t be using an Old Voting Machine like the one above. If you look closely at the picture you can tell what year the election above was and in what State it was used. You can find the answer in my post Crawfordsville Carnegie. Of course this also makes me think of Ben-Hur. 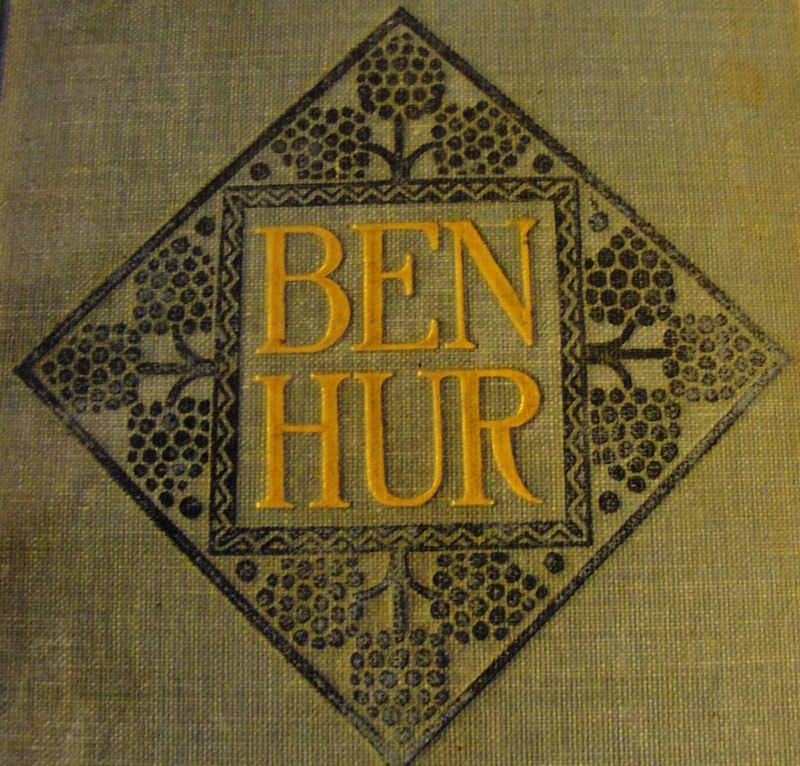 Do you know what connection there is between Crawfordsville and Ben-Hur? Maybe I will go see the new Ben-Hur movie next weekend. Hmm, seems like I have wandered from Election Memories, but then again it is not unusual for my mind to wander while writing a post. This entry was posted in Culture, History, Memories and tagged Ben-Hur, Communism, Crawfordsville, Election, Election brochure, Election Memories, Old Voting Machine, Primary Election, Socialism. Bookmark the permalink.